Yesterday J.Cole’s reference track for Dirty Money leaked, and earlier this evening DJ Neptune released the final version of “I’m Coming Home”. The song, which is produced by Alex Da Kid with his own artist Skylar Grey doing the vocals was penned by none other than Jay-Z. It’ll appear on Diddy’s Last Train To Paris album dropping on December 14th. Thanks to my girl Bibi for sending this over!..by the way, Bianca had one of the best Halloween outfits I’ve seen this weekend! Chicago’s L.E.P. 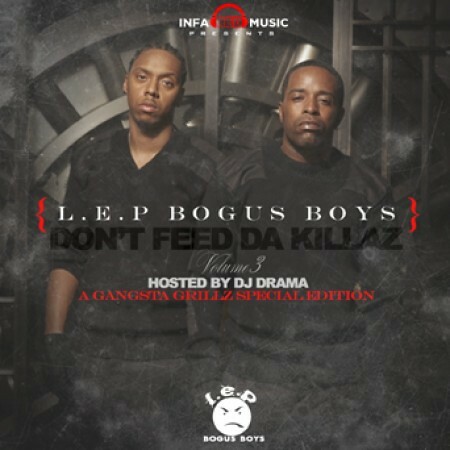 Bogus Boys along with DJ Drama presents their Don’t Feed The Killaz Vol. 3 Gangsta Grillz. On the project you can hear features from Fabolous, Jeremih, Gucci Mane & Freddie Gibbs. Along with production from J.U.S.T.I.C.E. League, Chase N. Cashe, Drumma Boy, DJ Toomp, Nascent & QB, plus more. Download link, tracklisting and their new video for “Don’t Feed The Killaz” after the jump…..
With two unofficial listings out, Rap-Up comes through with the final tracklisting for Nicki Minaj’s anticipated debut album Pink Friday. The album which shares a November 22nd release date with Kanye West, Lloyd Banks, Akon & Jay-Z’s Greatest Hits album will feature guests Eminem, Drake, Kanye West, will.I.am and Natasha Bedingfield. After the jump you can get the full lyrics and view the deluxe edition tracklist…. In the video above you can catch Funkmaster Flex & J. Cole talk a possible album release date, his view on the KiD CuDi x Wale beef, top 3 women, cars and sneakers plus more. While below you can check “I’m Coming Home” which apparently is a reference for Diddy’s Last Train To Paris LP. Week ten’s G.O.O.D. Friday entry is “The Joy” featuring Pete Rock, Jay-Z, Charlie Wilson, Curtis Mayfield & KiD CuDi. This comes on the heels of ‘Ye tweeting yesterday the recording for the now full length Watch The Throne LP with Jay-Z has begun. MissInfo: I wish I was listening to this song while driving down Lake Shore Drive in my dad’s old Lincoln Continental….this takes me to a whole nother place. And a much simpler me. 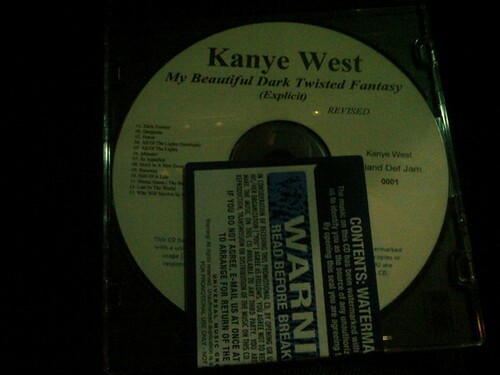 Download link and the final tracklisting to A Beautiful Dark Twisted Fantasy after the jump…..
Uploaded by yardie4lifever2. – Discover more webcam videos and video blogs. Above you can view KiD CuDi’s performance on the Late Show With David Letterman from last night, while below you can check out his collaboration with Mary J. Blige titled “These Worries”. Man On The Moon II: The Legend Of Mr. Rager in stores November 9th. Props to Yardie for the video. Last night Bun B tweeted pics from the video shoot of his next single off Trill O.G., “Put It Down” featuring Drake. Devi Dev from 97.9 in Houston, threw up some shots from the set. Expect the final product to drop in the coming weeks. UPDATE: Bun B throws up a video from the set. After the jump more shots from the video above, plus T.I. & Chris Brown, Lloyd & 50 Cent and Big K.R.I.T. with Killa Kyleon, Curren$y & Bun B…. Rihanna gave a preview of her new Loud LP to MTV‘s Sway, one of the tracks being the sequel to the current smash hit “Love The Way You Lie” from Eminem’s Recovery album. In the sitdown above she explains how Part II came about and how it compares to the original version. After the jump you can check out the tracklisting for Loud plus footage of RiRi & Drake on set of their latest single…. 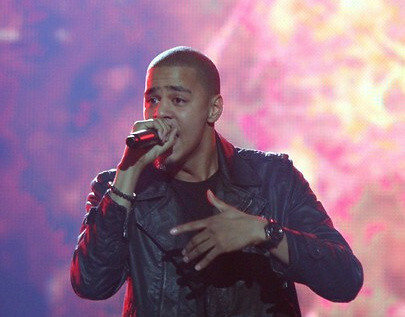 This originally dropped with a feature from Drake, now because of clearance issues the official version of “Feel Love” has a new verse courtesy of J. Cole. Makes sense now that Sean Garrett & J. Cole are fellow Roc Boys.